Small hole in a partition wall of a dark room, serving as a photographic lens. 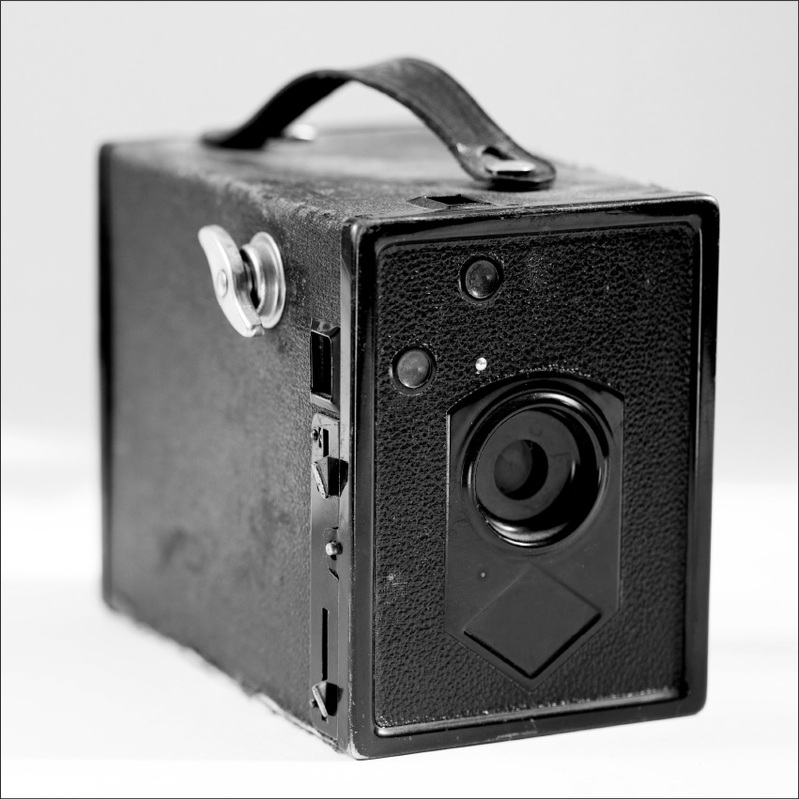 Very simple optical device used at the very beginning of photography to capture an image of reality. It all began with a meeting between Champagne and the Rhone Valley, around shared values of open-mindedness and respect for terroir. This encounter gave birth to a daring idea of creating a Champagne that is both rare and full of character: one that would portray the most trustworthy image of a single and unique year. This vision – capturing the very best portrait of a season – is the inspiration behind the name Sténopé. 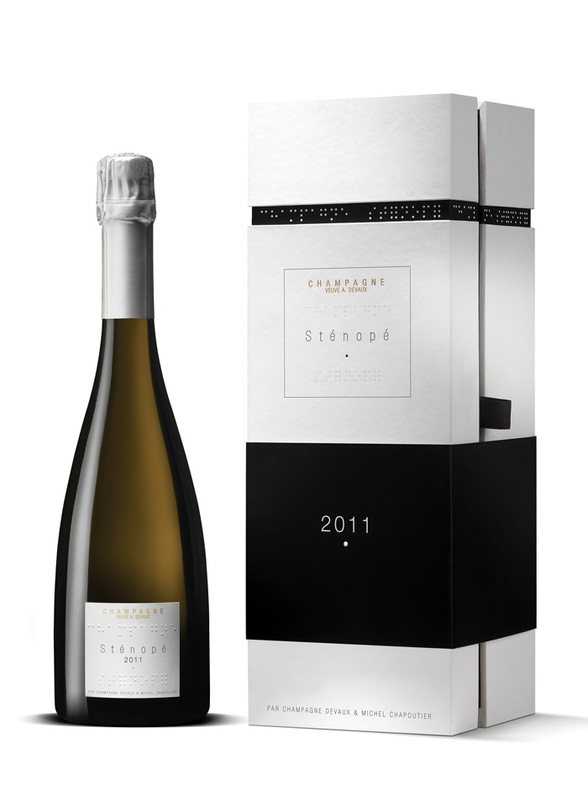 Always a vintage, Sténopé is the result of a precise and unique blend of black and white grapes: Pinot noir and Chardonnay, two emblematic Champagne varieties. 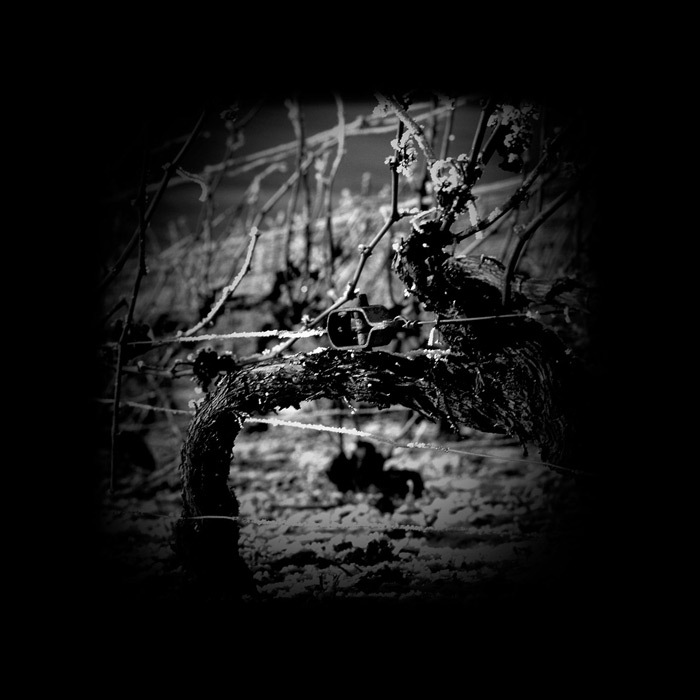 The challenge is, harvest upon harvest, to interpret a season, with all its unique characteristics that become apparent over time and, with one sip, to take each person on a journey of the senses, to the heart of that year. Winter, with its rain and exceptional snowfall, has extremely low temperatures and frequent frosts. The very dry and unusually warm spring causes the first vine buds to appear during the mid-April frosts. Water stress is noticed in May. Hail and thunderstorms in June are followed by rain (sometimes excessive) in July, along with cooler temperatures. 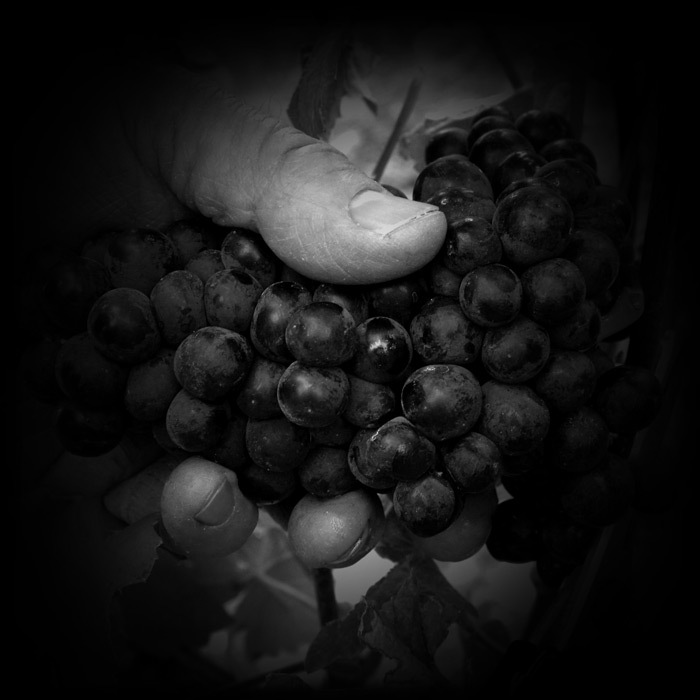 The harvest begins at the end of August in order to ensure healthy conditions for the vines and thus the best possible quality. A fine nose with the scent of hazelnut, covered in subtle aromas of vanilla and toasted bread, followed by dried apricots, chocolate and sugared almonds. A crisp taste with hints of lemon zest and white fruit. A long, invigorating and slightly salty finish. 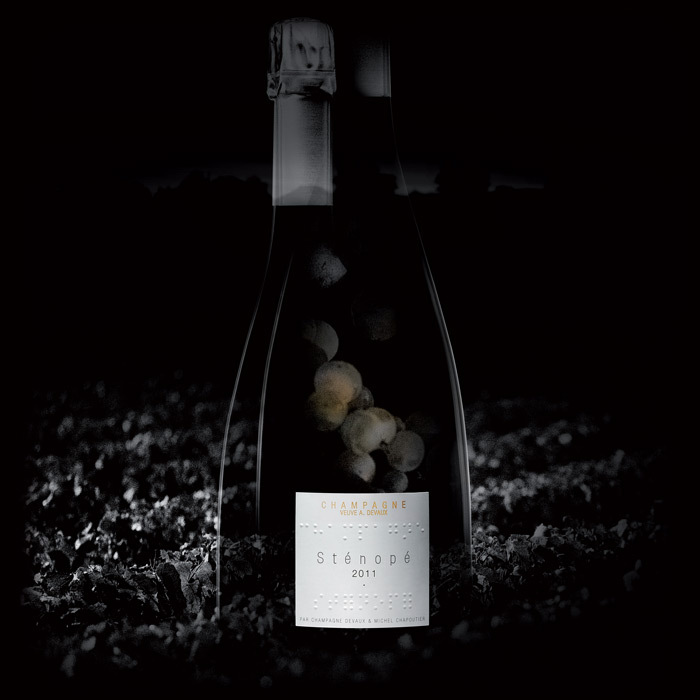 Sténopé 2011, a delicate wine, pairs perfectly with oysters, fugu or sweetbread. Conformément à la loi Informatique et libertés du 6 janvier 1978, relative à l'informatique, aux fichiers et aux libertés et à l'article 43 de la loi du 30 septembre 1986 modifié, ce site a fait l'objet d'une déclaration auprès de la Commission Nationale de l'Informatique et des Libertés (CNIL) sous le numéro (en cours d'enregistrement).